When Dr. Seuss wrote the words “Oh, the places you’ll go!,” he may never have imagined that would mean Springfield — his birthplace — for travelers from around the globe. Pretty soon, there will be a museum dedicated to his work in children’s literature in the city — the first of its kind in the world. “The Amazing World of Dr. Seuss” will have two missions, said Kay Simpson, vice president for the Springfield Museums, a group of five museums in the city. “It’s literacy-based and telling stories of Dr. Seuss in Springfield,” said Simpson. The new space, set to open in June 2016, is expected to cost $3.5 million when complete. It will be interactive and bilingual, focusing on literacy activities for a wide range of ages, and will explore a range of reading activities as well as Dr. Seuss’s connection to Springfield. 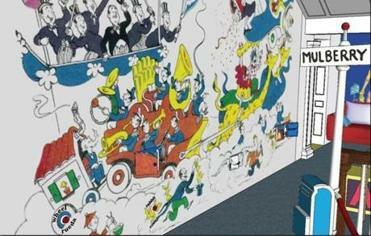 In fact, Seuss’s first book, “To Think That I Saw it on Mulberry Street” is based on a real Mulberry Street, just around the corner from the museums — a detail the new museum will highlight on its first floor. 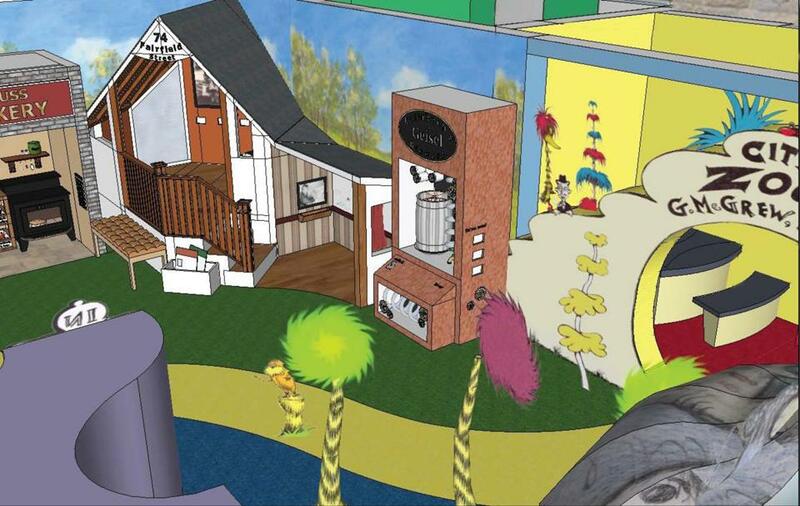 The main exhibit space will also feature sections called Dr. Seuss’s Neighborhood and Readingville. 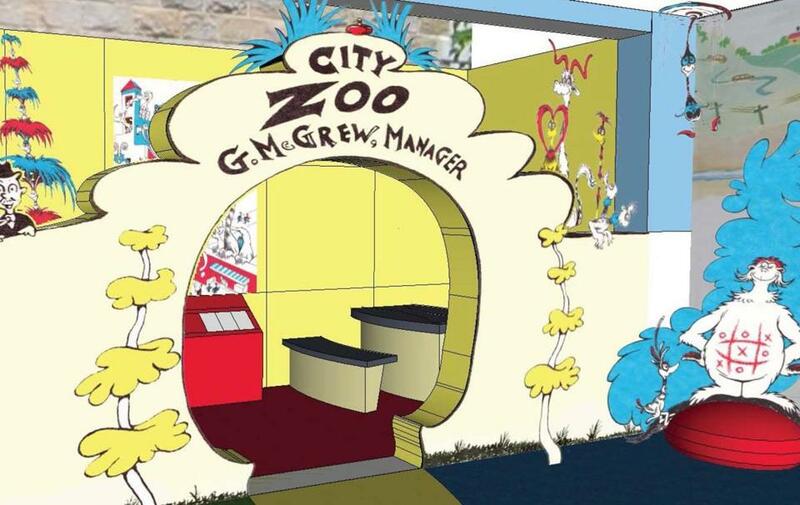 The second floor of the Dr. Seuss museum, set to open in 2017, will be turned into “Ted’s Room” — Seuss’s full name was Theodor Seuss Geisel — and will reproduce the space in which Seuss wrote, complete with his paintings, drawings, and furniture. The Springfield Museums are already home to the Dr. Seuss National Memorial Sculpture Garden, which features several three-dimensional figures from his books, such as “The Lorax” and “The Cat in the Hat.” Simpson said the Springfield Museums estimate that more than 3 million people have visited the sculptures. Then, she said, people started asking for a museum. So, in 2009, the Springfield Museums started working in earnest on the project. They received a $1 million grant from the Commonwealth of Massachusetts through the Gateway Cities Initiative. Springfield is designated a “gateway city” by MassINC, which means it is a midsize urban center that has been slow to replace manufacturing jobs that disappeared through the years. The grants that organizations receive in these cities aim to stimulate economic development. Between 2001 and 2008, Springfield lost 5 percent of its jobs, twice as many as the state average, according to MassINC; the poverty rate was 27 percent, which is also slightly more than twice the state average. 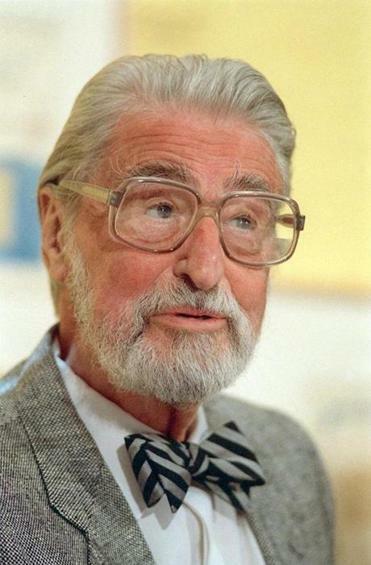 Theodor Seuss Geisel, widely known as Dr. Seuss. He died in 1991. With poverty comes literacy issues. Only 37 percent of Springfield children scored “proficient” or better on their third-grade reading assessment, according to a 2014 report from Early Education for All, while the Massachusetts average was 57 percent. The museum hopes to help combat these literacy issues in the community, said Simpson. Research shows, she said, that children need to be exposed to reading and have reading encouraged in order to excel in these third-grade assessments. Therefore, the museum is planning “collaborative planning with community organizations,” everything from reading nooks around the museum to facilitate story times to drop-in activites that work on building vocabulary and recognition of the letters of the alphabet. The activities go hand-in-hand with promoting the life of Dr. Seuss. A rendering of the Neighborhood section of the main exhibit space.